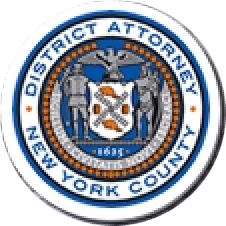 Manhattan District Attorney Cyrus R. Vance, Jr., today announced the sentencing of ROBERT DEPALO, 63, the President and Managing Member of a New York-based brokerage holding company, to 7-to-21 years in state prison and full restitution for defrauding investors of approximately $6.5 million through an investment scheme. On July 26, 2018, a New York State Supreme Court jury found DEPALO guilty of Grand Larceny in the First and Second Degrees, Money Laundering in the First and Second Degrees, Scheme to Defraud in the First Degree, and other charges in the indictment against him. Today, DEPALO also pleaded guilty to two counts of Tampering with a Juror in the First Degree for attempting to provide a juror with falsified business records that the judge had excluded from evidence during the trial. He was sentenced to one year in city jail. As proven at trial, DEPALO was President and Managing Member of Pangaea Trading Partners, LLC (“Pangaea”), a holding company that allegedly held ownership interests in two brokerage firms located in the United States and the United Kingdom. In that capacity, the defendant was responsible for managing investors’ funds. From approximately July 2010 through December 2014, DEPALO orchestrated a scheme in which he used a fraudulent private placement offering, which contained false or misleading information related to investments, to defraud more than 20 individuals in the United Kingdom of approximately $6.5 million. As part of the scheme, the defendant used a series of false and misleading statements to persuade the individuals to invest millions of dollars in Pangaea. He then diverted the vast bulk of the investor money into his own personal bank accounts, disguising its true source, before transferring the funds to entities he controlled. Ultimately, DEPALO spent millions of dollars of investor funds on luxurious personal expenses, such as Bentley automobiles, numerous Rolex watches, thousands of dollars in credit card expenses, and various works of art. Additionally, he did not disclose any of the money he obtained from his securities fraud scheme on his personal income tax returns and failed to pay more than $245,000 in New York State taxes. On May 20, 2015, DEPALO was arraigned on a 23-count New York State Supreme Court indictment following a long-term investigation by the Manhattan District Attorney’s Office’s Major Economic Crimes Bureau. During his jury trial earlier this year, DEPALO made two attempts to communicate with one of the jurors deliberating on his case in order to influence the outcome of the trial. On July 19, 2018, DEPALO instructed a family member to mail the juror a Louis Vuitton bag containing a thumb drive with falsified business records that the trial judge had excluded from evidence during the trial. A few days later, DEPALO made a second attempt to contact the juror by instructing the same family member to have copies of the excluded materials hand delivered to the juror’s residence. Assistant D.A.s José A. Fanjul and Brian A. Kudon handled the prosecution of both the investment fraud case and the jury tampering case under the supervision of Assistant D.A.s Garrett Lynch, Deputy Chief of the Major Economic Crimes Bureau, and Christopher Conroy, Chief of the Major Economic Crimes Bureau, as well as Executive Assistant D.A. Michael Sachs, Chief of the Investigation Division. Assistant D.A. Kelly Keating and Trial Preparation Assistants Ross Gitlin, Michael Bass, Sophie Hoblit, and Anne Smith assisted with the case, as well as Senior Investigator Behzad Ahdout, Supervising Investigators Veronica Rodriguez, Matthew Winters, Donato Siciliano, and Gregory Dunlavey, and Assistant Chief Michael Wigdor of the Investigations Bureau and Financial Investigators Wei Man Tang and Miriam Bouchma and Deputy Chief Irene Serrapica of the Forensic Accounting and Financial Investigations Unit. District Attorney Vance thanked the following members of the City of London Police for their assistance on the case: Detective Chief Superintendents Dave Clark and Glenn Maleary; Acting Detective Superintendent Perry Stokes; Temp Detective Inspector Ian Kellaway; Detective Constables Ceri Hunt, Sophina Hussain, and Ollie Gent; Detective Sergeant Matt Hussey; Police Staff Investigator Joe Ford,; Former Detective Sergeant Nick Kemsley; Former Detective Constable Paul Brown; and Former Temp Detective Sergeant Adam Mclaughlin. District Attorney Vance also thanked the Securities and Exchange Commission’s New York Regional Office, particularly Senior Attorney Andrew Dean, Senior Counsel Nathaniel Kolodny, Senior Trial Counsel Nancy Brown, Staff Accountant Kerri Palen, and Associate Director Lara Mehraban. Scheme to Defraud in the First Degree, a class E felony, two counts.